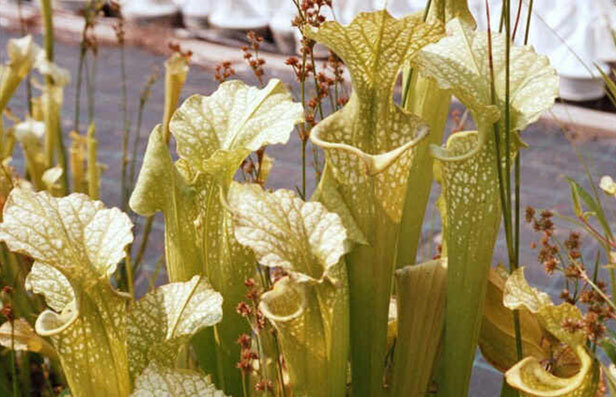 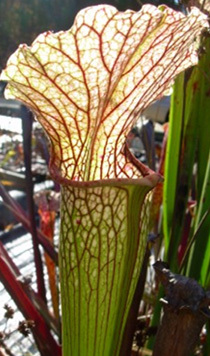 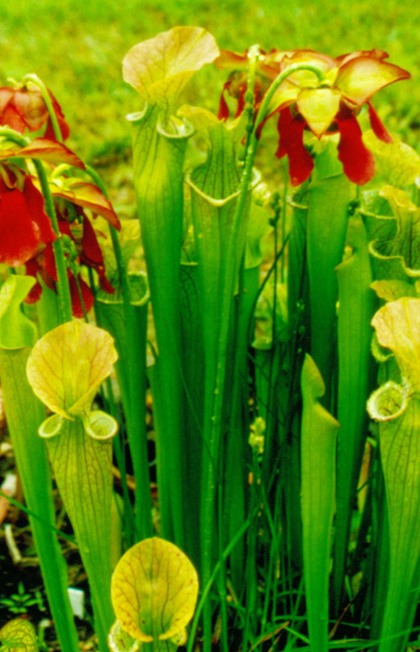 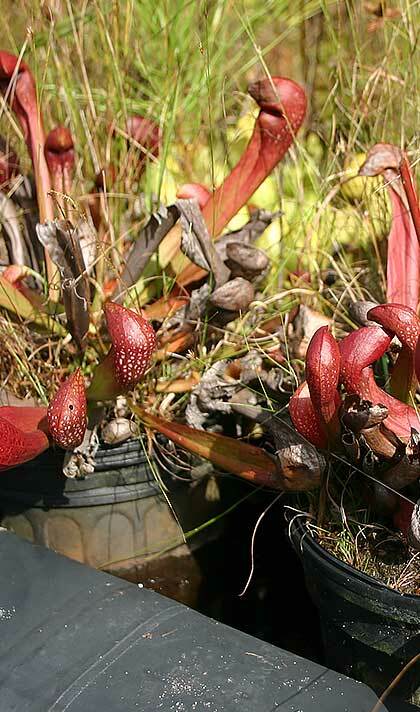 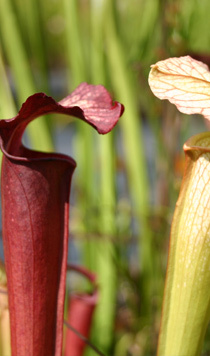 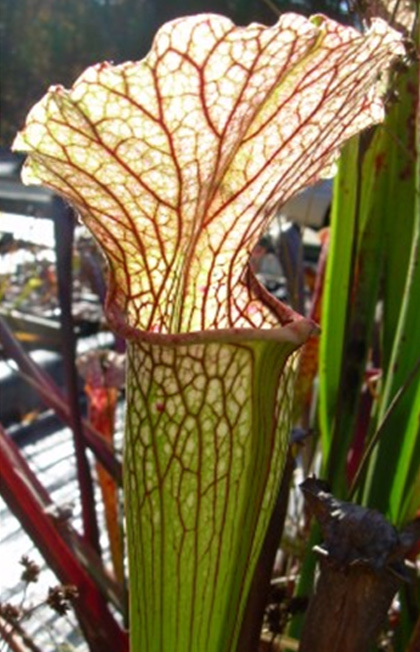 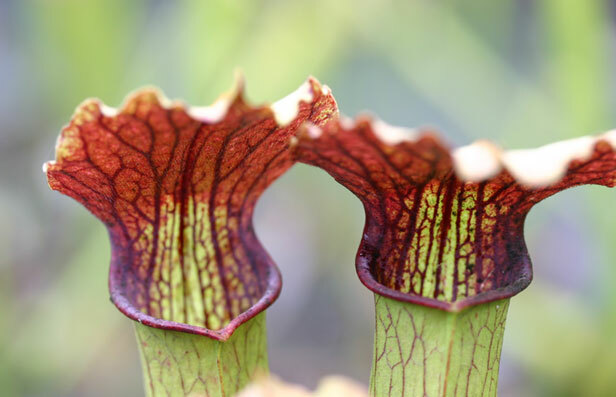 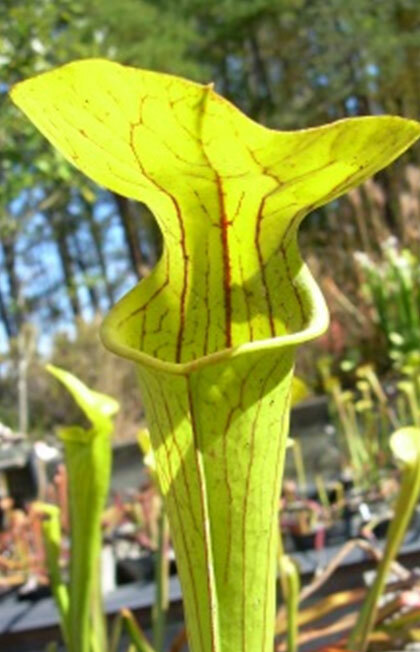 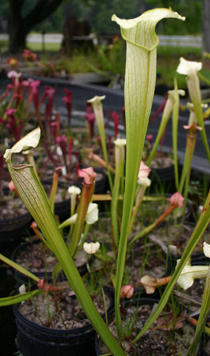 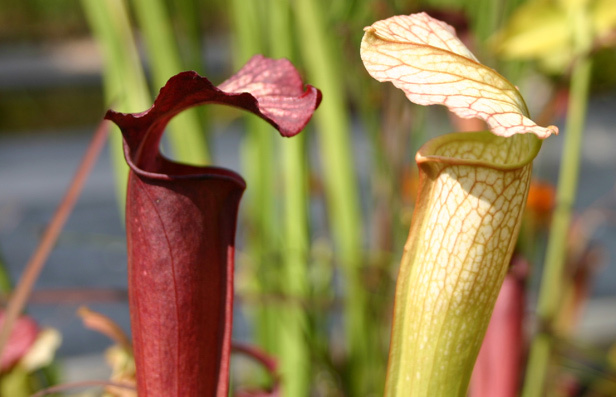 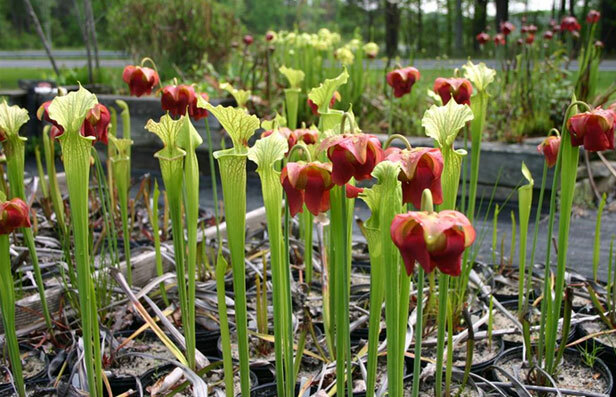 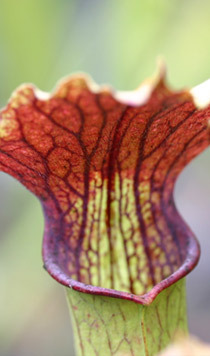 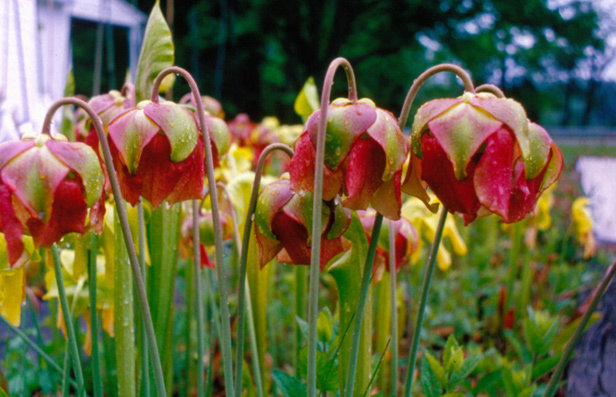 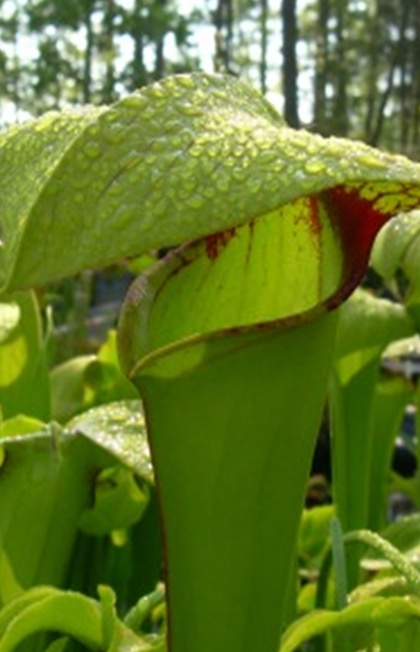 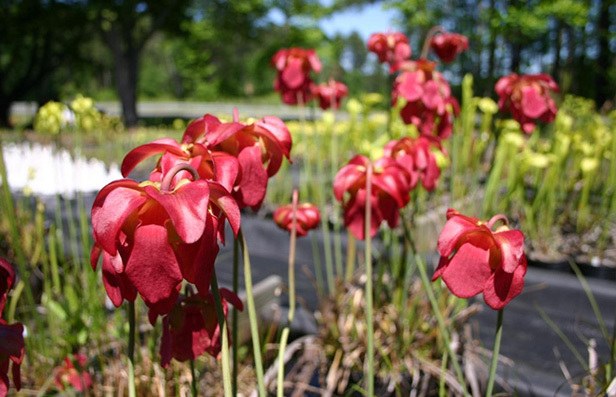 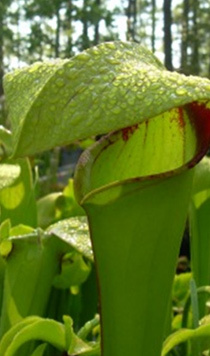 We offer a number of outstanding Sarracenia hybrids developed exclusively by Meadowview and available nowhere else. 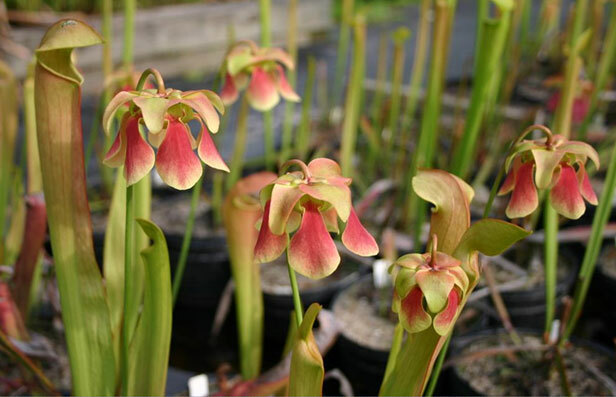 Our applied genetics program has re-sulted in novel Sarracenia phenotypes and we have even more amazing plants in development. 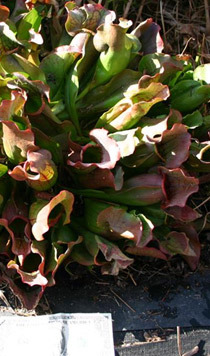 Several hybrids were developed by other renowned growers and the grower is acknowledged in the hybrid description. 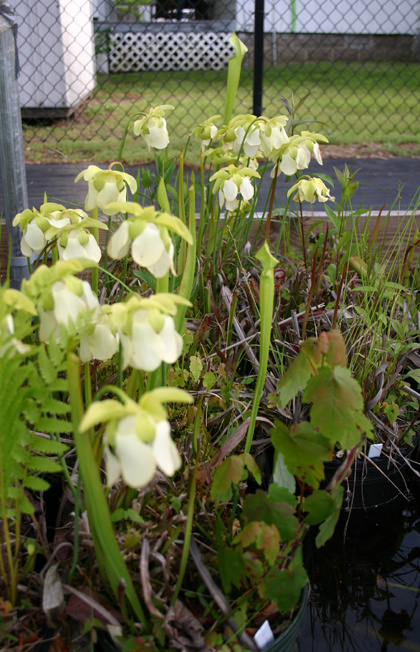 Wholesale/Bulk rates: $6 per plant if you order 10 or more plants and are a supporting Meadowview member! 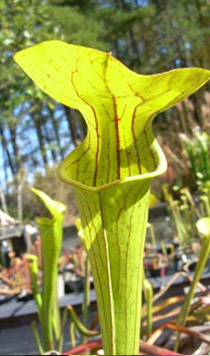 $12 per plant without a membership. 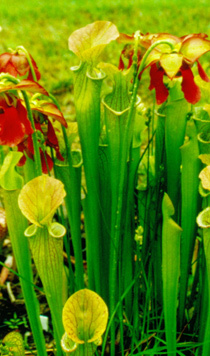 Plants at bulk rate are noted below in red. 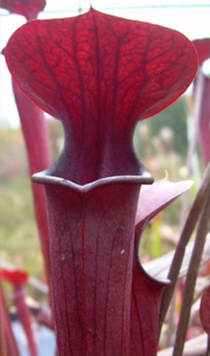 Sarracenia alata x Sarracenia leucophylla "Birds Beak"
Beautiful red flower, upper portion of pitcher with white areolae and light purple suffusion under hood. 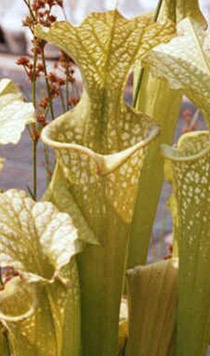 Characterized by a birds-like beak on the tip of the lip. 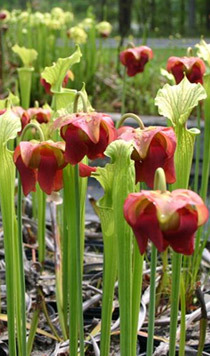 Named by intern Nick Haywood. 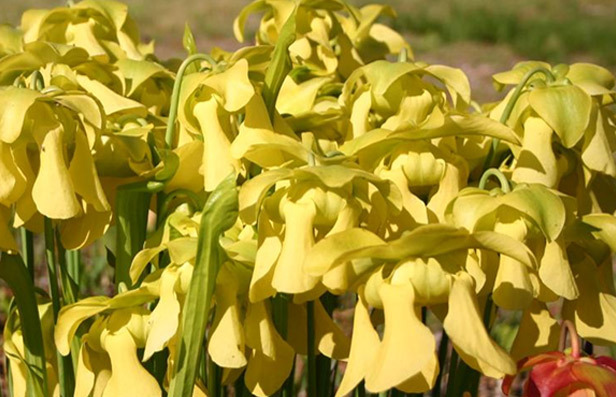 A hybrid of S. flava and S.alata with beautiful, large, lemon colored flowers. 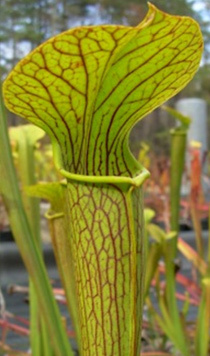 Arching hood and yellowish-red flowers, made by Fred Case. 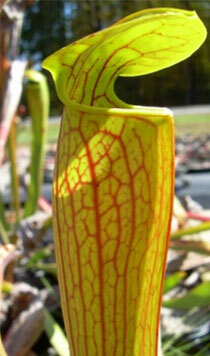 Out of Stock - Please Inquire. 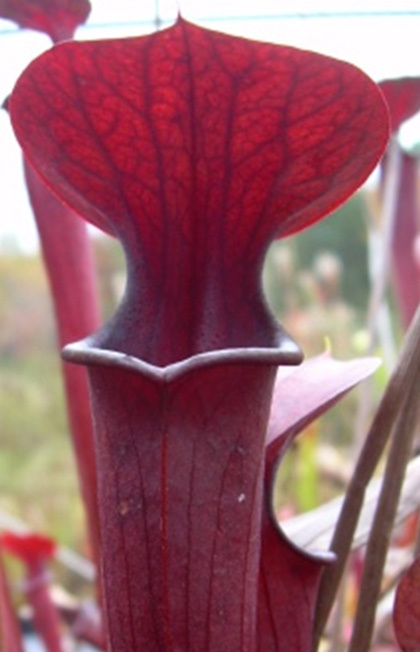 An S. leucophylla x S. flava cross with red petals that feel like velvet. 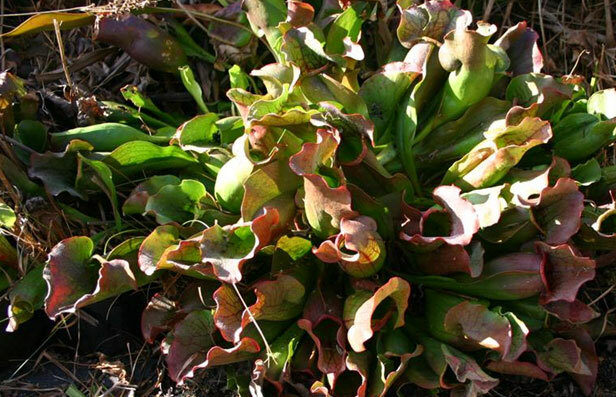 Named after our home county in Virginia this exceptional-ly vigorous plant is a cross of Virginia S. purpurea and Florida S. rosea. 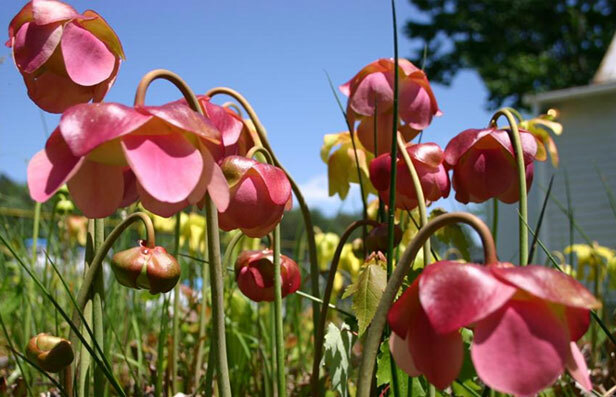 Clumps can reach several feet across with robust large pitchers and beautiful, full, light pink flowers. 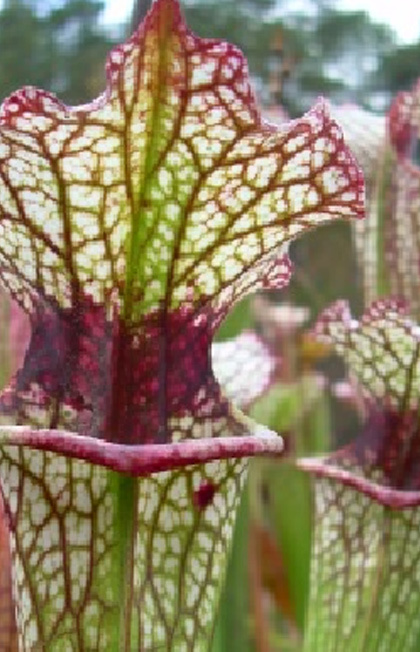 This delightful hybrid has a fluorescent green background with speckles of white. 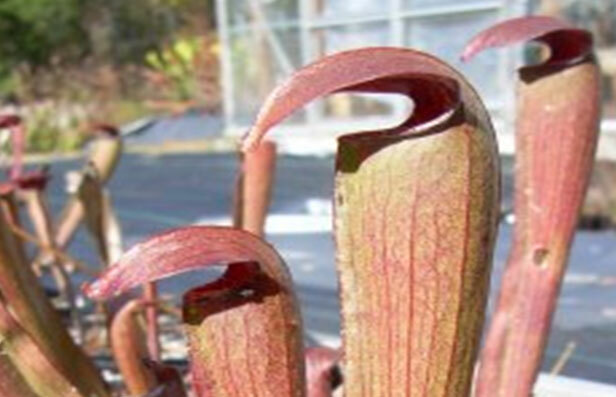 When you look at the hood of the leaf from above the aspect is reminiscent of a snowflake, hence the name. 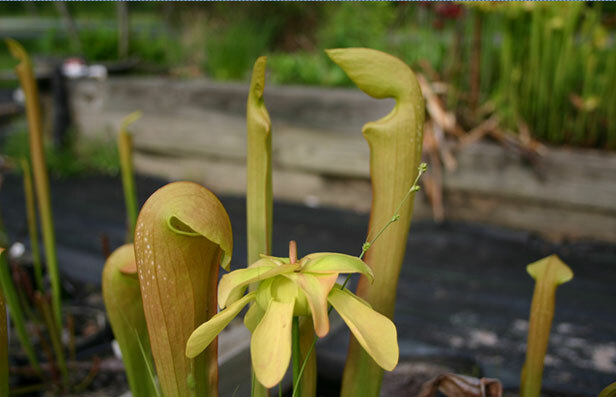 Snowflake is a vigorous divider and winter hardy since one of the parents is a yellow pitcher plant from Virginia. 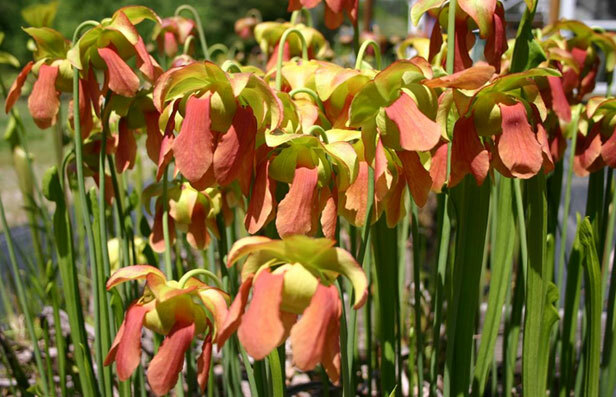 Flowers are a pink-orange blush. 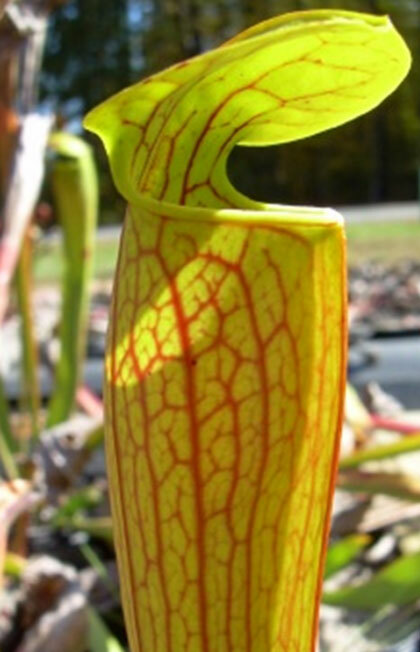 This offering is testament to the pow-er of modern genetics. 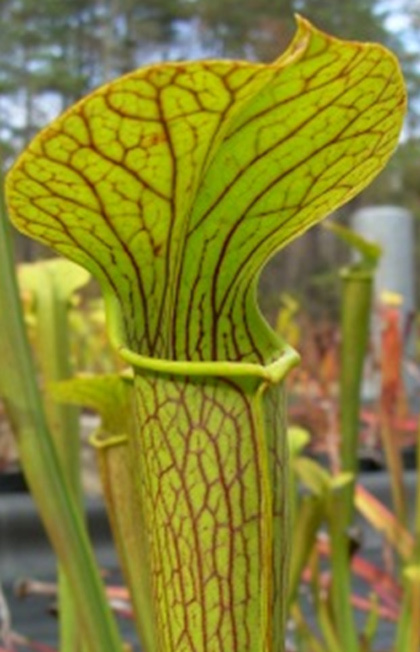 We crossed northern S. purpurea f. heterophylla with a normal colored S. rosea from western Florida and obtained progeny that were red and anthocyanin-free green. 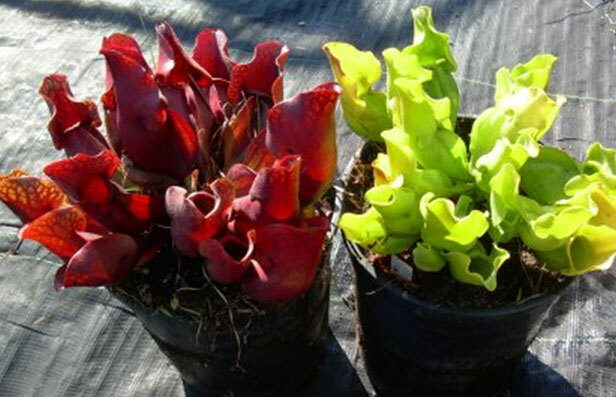 The outcome was not a surprise, and was pedicted by us, since the population of S. rosea contained anthocyanin free plants and heterozygous plants were present in the population. 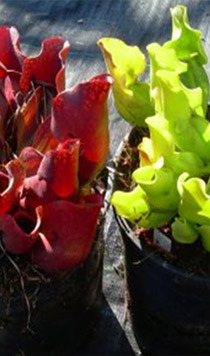 Progeny are red and green in color with no intermediates. 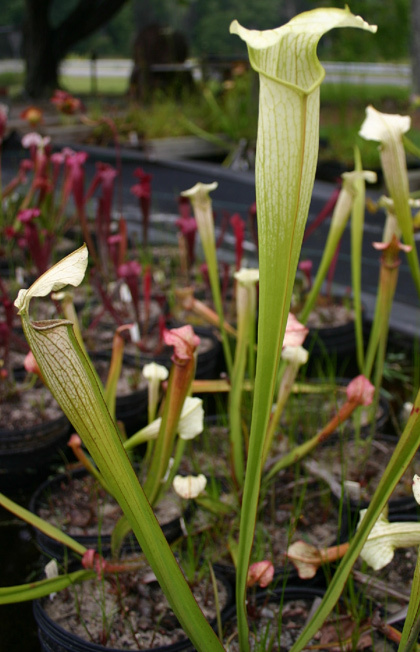 The flower color of Northis exceptional in that the flower is almost white while South is a delightful pink. 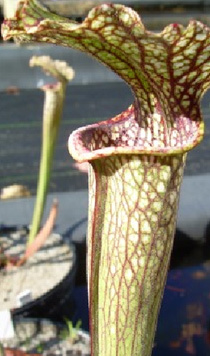 A sibling of 'Red Viper' that has a purple-black throat splotch and a slight tan exterior. 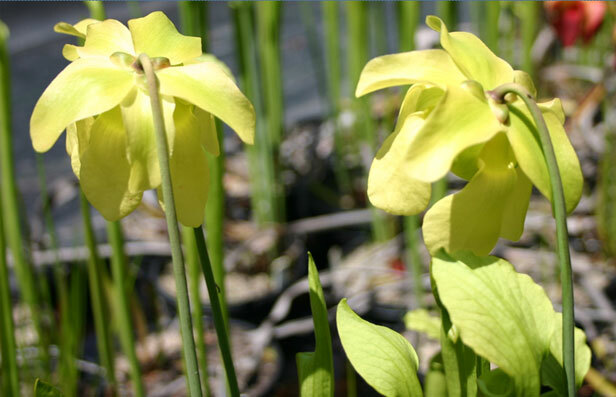 A secret cross by our genetics experts. 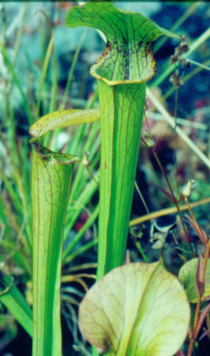 A cross between S. alata and S. leucophylla. 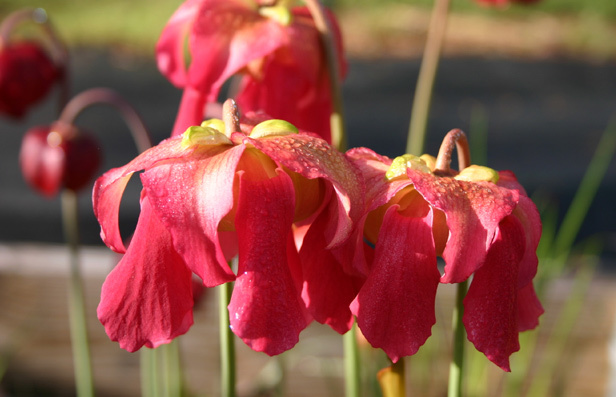 Attractive pink flowers with waxy firm pitchers. 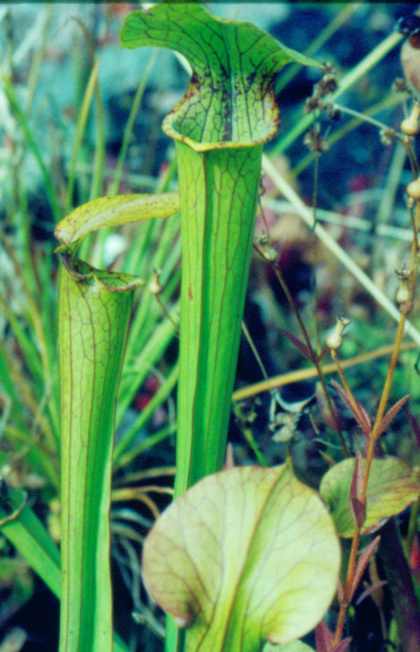 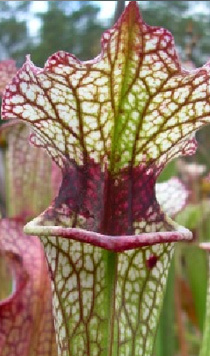 A hybrid of S. alata and S. leucophylla notable for the white upper pitchers uncharacteristic of this species cross. 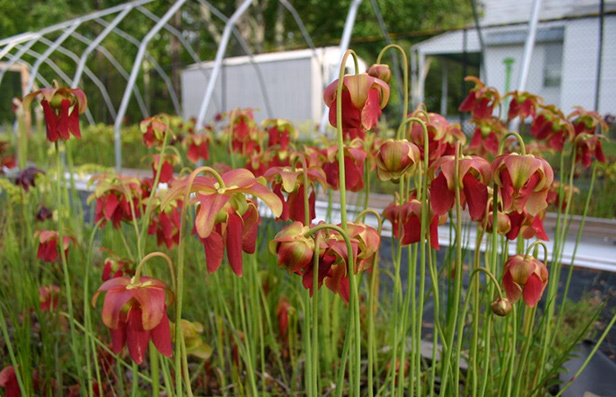 This cross of S. alata and S. leucophylla has some of the most beautiful pitcher plant flowers we have ever seen. 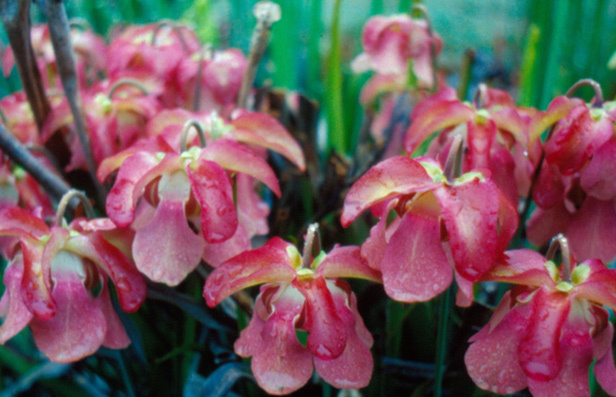 Crosses with S. alata can result in exceptional flower color and 'Fuschia' is certainly an example. 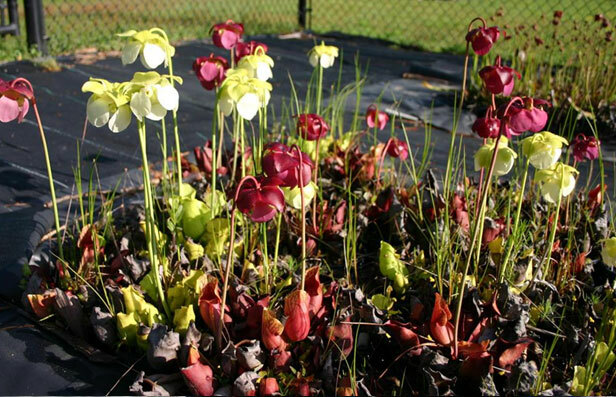 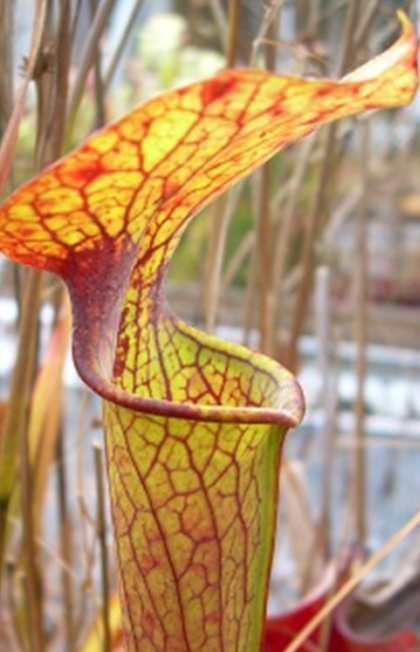 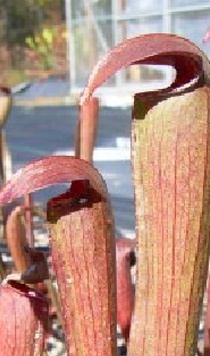 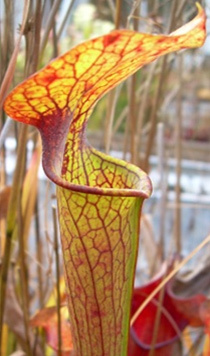 The young pitchers are initially white with abundant windows but develop a deep rusty red as they age. 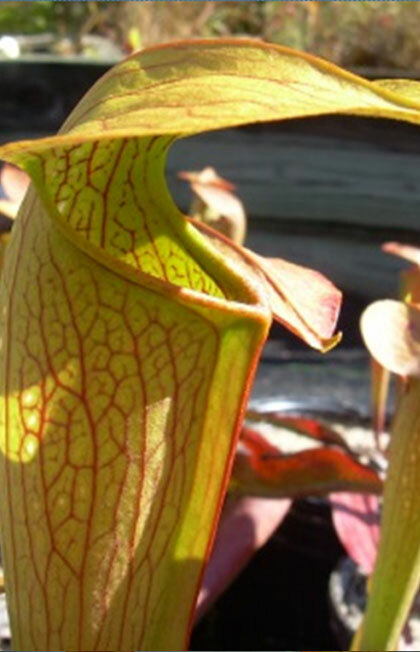 The leaves below illustrate this interesting development on the same plant. 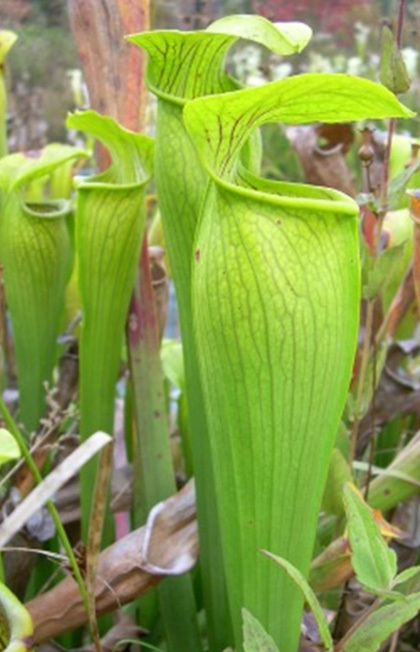 "Matoaka" means ―little snow feather and was the name commonly used by Pocahontas (Pocahontas was a private name rarely used in public). 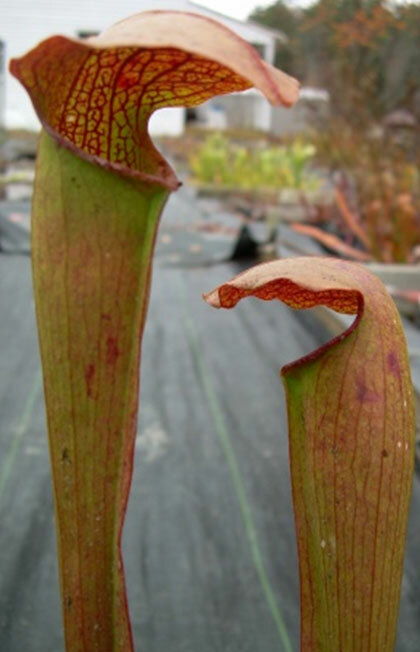 This beautiful cross of S. leucophylla and S. alabamensis ssp. 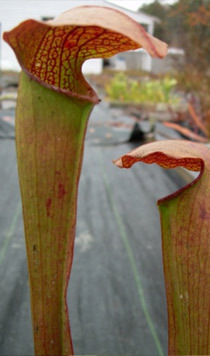 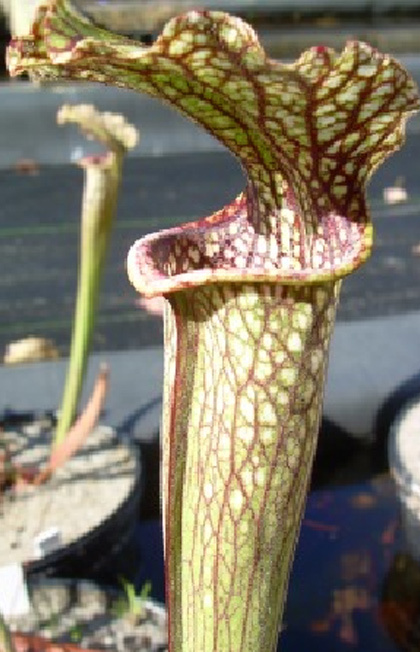 wherryi has a soft pubescence covering the exterior of the pitcher. 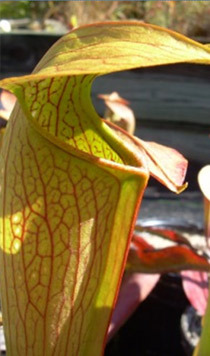 The upper portion of the leaf is speckled with small white windows interwoven with purple veins.